Newzoo’s Global Esports Market Report has taken a deep look at the competitive gaming scene, grabbing metrics relating to audience habits and revenues to give us a flavour of the global esports scene. So what can we learn from Newzoo’s research? Here are the six most interesting facts from this report. This is a big year for esports as it will be the first year that esports exceeds the billion-dollar revenue mark. In Newzoo’s forecasts last year, the market was expected to breach that cap in 2020. But it has grown faster from its current estimated size of $865 million industry to hit the billion dollar mark. Importantly, that growth is unlikely to slow down. Currently, the market is growing at a rate of 26.7% and is due to reach a $1.8 billion industry by 2022 – increasingly making it a market that investors, the video games industry and advertisers cannot ignore. 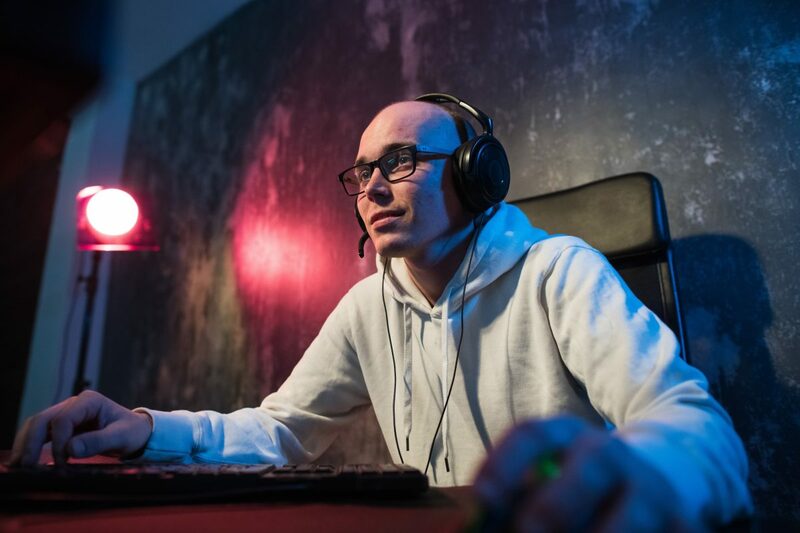 Speaking of advertisers, the biggest driver of growth in the esport sector will come from brands looking to cash in on the phenomena. 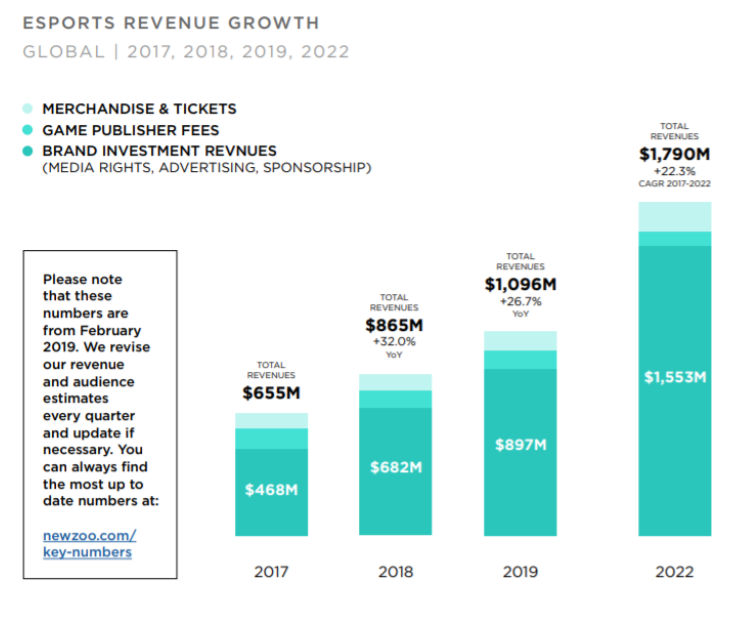 In 2019, Brand investment revenues such as media rights, advertising and sponsorship are predicted to generate $897 million of the industry’s $1.1 billion. When that spend is broken down, sponsorships is the biggest revenue stream – generating over $450 million for esports in 2019. This shows that brands do get the appeal of esports to their audiences. Interestingly though, there’s going to be big questions about where those audiences are soon. Media rights is the fastest-growing esports revenue stream with a year on year growth of 41.8%. 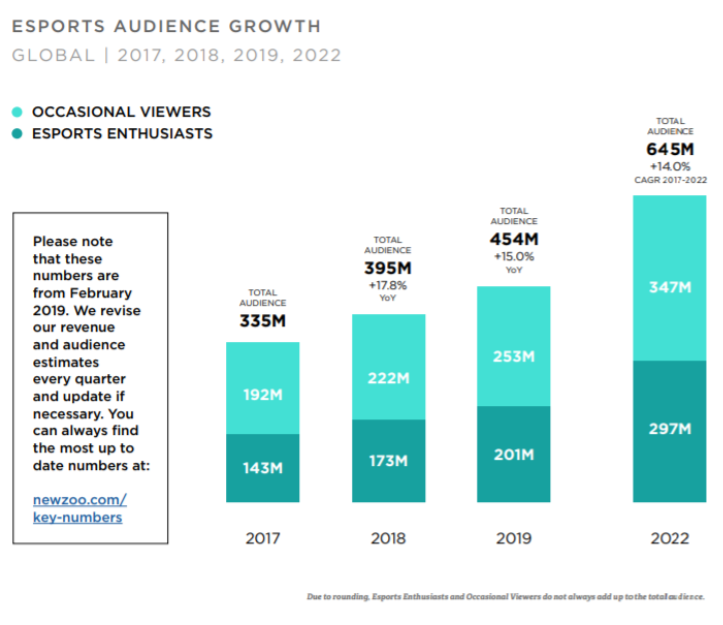 This suggests that content platforms are keen to tie major esports events down, both to capture viewers and to directly (and indirectly) benefit from that brand spend. Esports viewership has been a big deal for a number of years. The total audience for esports in 2017 was already 335 million – making for roughly as many esports viewers worldwide as Europeans – but it’s still growing quickly. This year, the audience is forecast to hit 454 million people worldwide. 253 million of those viewers are defined as occasional viewers, with 201 million called enthusiasts. Importantly though, the proportion of the audience that is defined as enthusiasts is increasing proportionally faster than casual viewers. This means that the audience is likely to be better educated about esports, more engaged with content and a better prospect for successful brand marketing campaigns. Where the audience will go to in the coming years is hard to forecast precisely, of course. But by 2022, Newzoo is bullish that the audience will have comfortably exceeded half a billion viewers – making it hard to ignore. The growing audience for esports is great. But where will the most enthusiastic fans be? The answer is the biggest video game market in the world: China. Esports in China is a big money maker and it is going to grow even more. There are nearly 135 million people who watch esports in China, making it the major market alongside the US. And with that audience comes natural investment and support. Esports towns are popping up across the country. Hangzhou has built an esports town which is 68 football fields big, in a bid to make it the esports capital of the world. Even the Chinese government is signing deals and partnerships with esports companies, as well as recognising the field as a profession. This suggests that the route to esports success will likely deviate strongly through the Chinese market. Prize money is essential to the functioning of the esports economy. While brand partnerships represent a bigger slice of the industry pie, winning prize money is key for supporting all teams in the sector – especially those up and coming sides who don’t have the brand for advertising opportunities. It’s not a huge surprise then that prize pools increased again last year. According to Newzoo’s report, the figure hit over $150 million as tournament organisers continued to raise the bar for teams. Where did this money come from though? At the top end of the scale, In 2018 the most cash in a prize pool was found – once again – in Dota 2. The International 2018 awarded a total prize pool of over $25.5 million. But teams at the League of Legends Championship were fighting for $6.45 million, which is no shabby amount of money, and Epic’s multiplayer juggernaut Fortnite had a $4 million pool for it’s Fall Skirmish. As for where the money has gone, China takes the top spot as the country which has gained the most from winning tournaments. 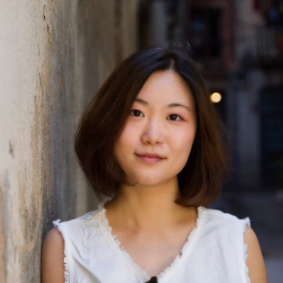 The country’s predicted earnings for 2019 exceed $45 million – meaning Chinese sides are hoovering up nearly a third of available prize funding. This will likely help the professional scene there thrive further and help those sides establish their brand further in the territory. Finally, which games saw the most viewership in 2018? Well, despite the Overwatch League hype, it was once again League of Legends that took that particular crown. League of Legends is the most watched game with over 340 million hours watched followed by Counter-Strike: Global Offensive with over 270 million hours and DOTA 2 with 250 million hours on record. What was the basis for this success? Well, one factor was the League of Legends World Championship finals. They were held in South Korea – one of the most developed esports market in the world – which helped it generate a big enough audience to attract 50 million viewing hours. But LoL also benefitted from one of the break out viral hits of the year. The championship was launched with the augmented reality K-pop hit Pop/Stars by K/DA – a fictional K pop band inspired by heroes in the game. This went on to top the charts around the world and attract millions of viewers on Youtube, drawing more fans into the LoL experience.